Heindl Engineering developed a unique angle bracket support that is used on our front forklift stand. The forks are supported from both the back and bottom at the same time, making our front stand more stable than any others on the market. 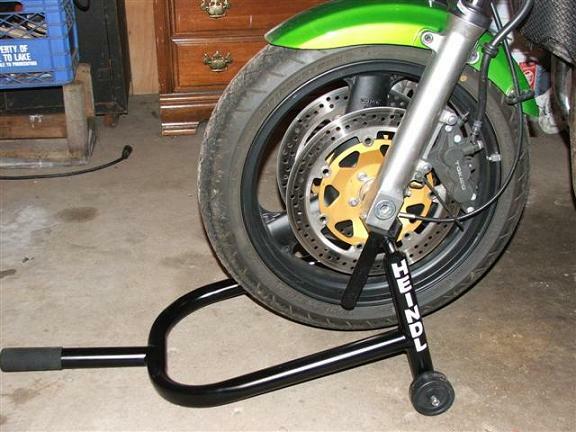 The stand design also reduces the risk of you bike being "bumped" off the stand.